I've had the terrific idea of making my sitting room, the dining room ~ and making the very small dining room into a cozy sitting room. 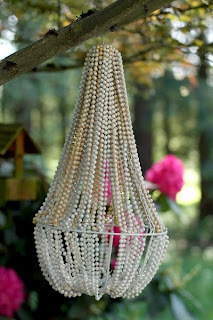 But now, there's that pesky hole in the ceiling where the old chandelier use to be and I was checking on line for some ideas ~ and here's this terrific one for indoor or even out! This idea was submitted by Heather at The Dollar Store Crafts Facebook page and later blogged: here, at the Dollar Store/Dollar Tree Craft's Blog. 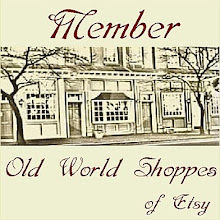 This is her story: "For months I had been trying to find a good base for a chandelier at the dollar store, and it wasn't until my three year-old son called the wire baskets a "chandelier" that it clicked." "A few months ago, Dollar Tree started selling their seasonal gardening stuff, including hanging wire baskets (and yes, they were only a dollar!)" 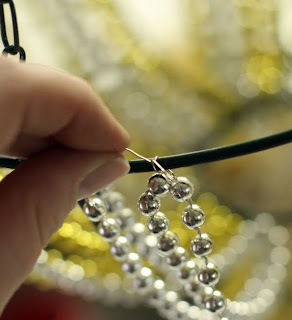 "Attaching the bead necklaces together: As you wire your chandelier, you will hot glue one end of the necklace to the end of the next necklace. 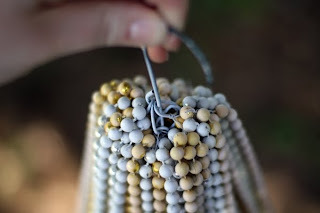 I recommend doing this as you go to keep everything nice and neat (and untangled). Remember to be careful when handling the hot glue!" "Take your first necklace, and a piece of wire. 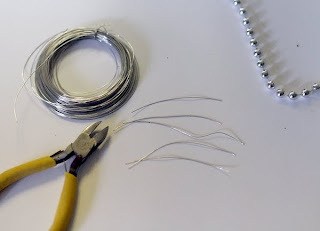 Wrap the wire securely around the thread between the first two beads and twist around once or twice to make sure the wire won't come apart from the necklace. 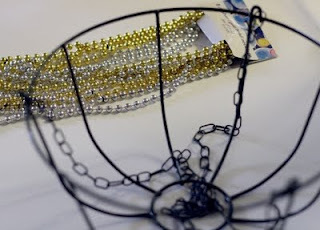 Then wire the necklace to the top of the wire basket form. Wrap the wire around the basket securely, and twist at least twice to make sure it's secure. Leave the end of the wire long for now." For me, I think I would still try after, because, knowing how I work, I would end up scratching off the coverage. 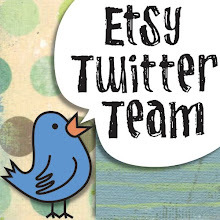 Again, the ENTIRE tutorial is located at this link at the Dollar Store Crafts website. 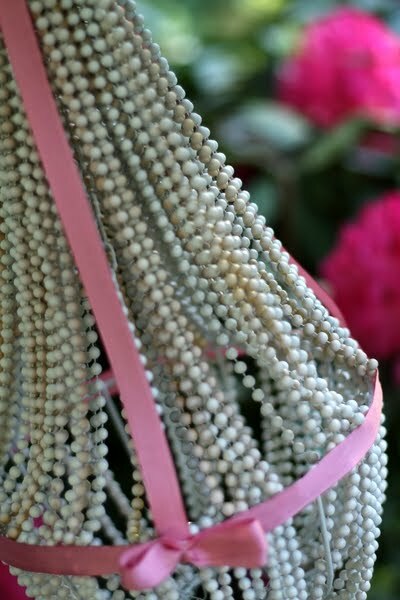 "Of course, these baskets are great bases for any kind of chandelier you can imagine! You might have a little trouble finding them at your dollar store now (they sell out quickly), but you can get them for about $5 at your local big-box store. I know that's not as great a price as $1, but it's still pretty cheap for a great chandelier base. 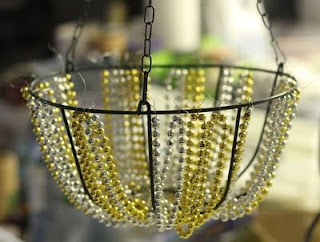 The dollar store also has wire baskets that will work decently for chandelier bases. Try those and let me know how they work out for you!" 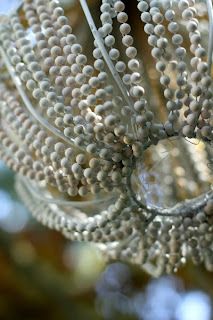 This was such a terrific idea ~ and I'm going to try one out and use it outside with some small votive candles! Thanks so much to Heather and her submission to the Dollar Store for sharing such a great upcycle idea!